Gustave Ferdinand Niebaum (originally Gustaf Ferdinand Nybom) (b. 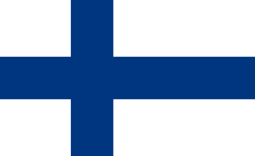 31.8.1842 in Helsinki, Finland - 1908) acquired his maritime schooling in Helsinki, Finland. By the end of 1850s - now a Sea Captain - Gustave Niebaum had become the world's leading fur trader. Among his many known accomplishments Captain Niebaum founded the Alaskan Commercial Company in San Francisco, California. Captain Niebaum prepared some of the first official maps of the coastline of Alaska. As the Consul of Russia in the United States in 1867 (at the time Finland was an autonomous Grand Duchy of Russia) Niebaum helped explore the territory and promoted ratification of the Alaska purchase, by which US bought Alaska from Russia. Born in Helsinki, Finland, as Gustaf Ferdinand Nybom to a Swedish-speaking family. This spelling of his name is rendered in the original Swedish form. As a 16-year-old Gustaf first came to Alaska on a voyage aboard a ship owned by the Russian-American Company. During this period both Alaska and Finland were regions under Russian control. On his return he studied for his Master's exam in Helsinki and was soon back in Alaska working as a helmsman. He later advanced to the rank of Captain. Alaska came under American control in October 1867. Borrowing money from Finnish-American Philanthropist Lars Kovala, Nybom formed a new company with four other partners naming it the Hansen, Nybom & Co. They became wealthy seal-skin traders. They sold Alaskan seal skins in San Francisco and made California their new home. In time, after many years of trading and building his wealth, Gustaf Nybom eventually changed his name to the German form of Gustave Niebaum. It is believed that he did so to fit in with his many partners who were German Jews. Some of his German partners had seen the potential for planting wine grapes in the fertile Napa Valley and had done so since the 1860s. Gustave married a German-American woman in 1873. Niebaum and his wife purchased 450 acres on prime land in 1879 and began making their own wine. In 1879 Niebaum established Inglenook Winery in Rutherford, California, a small village in Napa Valley. Captain Niebaum had originally wanted to establish a fine winery in France, but his California-born wife objected to long ocean voyages and preferred Napa instead. A number of Niebaum's colleagues and employees from the Alaska Commercial Company also joined him in creating Napa County wineries of their own - Benson at Far Niente and later on John Parrott's son Tiburcio. (John Parrott was the financier behind the Alaska Commercial Company). Niebaum's employee Hamden McIntyre was not an architect but he designed gravity flow wineries for Inglenook and Far Niente along with other wineries of the decade. From the beginning Inglenook was Niebaum's pride and joy and he worked hard to create quality wines, taking frequent trips to Europe to observe vineyards and winery practices (in Germany, France, Spain, Portugal, Hungary and Italy), and then importing a wide variety of European vines and following high standards in winemaking. His wine library contained 600 books he collected on his travels. The result was that Inglenook wines became world-renowned, winning gold medals in the World's Fair of Paris in 1889 and maintaining their reputation for high quality through the decades into the 1919 Panama-Pacific International Exhibition in San Francisco where Inglenook wines won 19 gold medals, far surpassing any other California winery. Niebaum died in 1908, but his wife hired competent managers notably Carl Bundschu, to continue the enterprise. After Prohibition, operation of Niebaum's vineyards and winery passed on to his great nephew John Daniels, Jr., whom Bundschu had mentored, in 1939, following the death of Suzanne Niebaum, Gustave's widow, in 1938. The Daniel era lasted through 1964 when the winery was, tragically, sold to corporate interests. Francis Ford Coppola in 1975 with proceeds from the original Godfather (movie). Coppola released his first vintage in 1977 under the Niebaum-Coppola label. In 1995 Coppola purchased the remaining acreage and chateau style winery which were part of the original Niebaum estate. In 2006 the winery was renamed Rubicon Estate Winery. In 2011, Coppola purchased the name Inglenook and reunited the winery, the vineyards and the brand name. In 2007, Gustave Niebaum was posthumously inducted into the Culinary Institute of America's Vintner's Hall of Fame. At the time when Gustave Niebaum was busy conducting business in the San Francisco Bay Area and Alaska - from late 19th to early 20th century -, both places had considerably large Finnish settlements. As the Governor in Russian America from 1858 to 1864, Finnish Johan Hampus Furuhjelm helped pave way for the Alaska Purchase, just as Gustave Niebaum did, as the Consul of Imperial Russia in the United States in 1867 (at the time Finland was the autonomous Grand Duchy of Finland of Russia) — when Alaska was purchased to become part of the United States. During his Russian America governorship, Furuhjelm also put an end to the hostilities with the indigenous peoples of Alaska, and he succeeded in abolishing the Alaskan Ice Treaty with San Francisco. According to a contract which had been signed, Russian America had to deliver a certain amount of ice to San Francisco at a fixed price. The problem was that the product melted down on the way to the warmer climates. The ice contract became very awkward for the Russian colony. Furuhjelm arranged for a new contract to sell ice to San Francisco: 3'000 tons at $25.00 a ton. The Russian-American Company had been established in 1802. Finns and Swedes and other Lutherans who had worked for the company had built the Sitka Lutheran Church in Alaska in 1840. It was the first Protestant church on the northwestern Pacific Coast. The officially registered Finnish Club No. 1 was established in the Castro District of San Francisco in 1882. Soon after, two "Finnish Halls" were built nearby. One was located at the corner of 24th Street and Hoffman Street. The other hall was located on Flint Street, on the "Rocky Hill" above the Castro, an area densely Finnish-populated at the time - a Finn Town. Before the 1906 San Francisco earthquake, nearly all the kids attending the McKinley school (now McKinley Elementary School) at 1025 14th Street (at Castro) were Finnish. Following the 1906 earthquake, a large amount of Finns of San Francisco the Bay Area moved to Berkeley, where many already had settled before. A large part of the early Berkeley population was of Finnish heritage. This is the period when Finnila's Finnish Baths began serving customers in the Castro District. In 1906, St. Francis Lutheran Church was erected at 152 Church Street, between Market Street and Duboce Street. The construction work was completed by immigrants from the Nordic countries, where Lutheranism is the largest religious group. The project overseen primarily by Danes took place in the heart of what was then the Nordic-dominated Duboce-Market Street neighborhood of San Francisco. Facing the backside of St. Francis Lutheran Church, a small and light-colored Finnish church served Finnish speaking church-goers on the one block long side street. The 1943 novel Mama's Bank Account by Kathryn Forbes focused on a Norwegian family living in the area in the 1910s. Forbes' book served as the inspiration for John Van Druten's 1944 play I Remember Mama. The play was adapted to a Broadway theater production in 1944; to a movie in 1948; to a CBS Mama television series running from 1949 until 1957; to a Lux Radio Theater play in the late 1950s; and to a Broadway musical in 1979. In the early 20th century - especially from c. 1910 to 1920s - the Castro District of San Francisco and some of the surrounding area was known as Little Scandinavia, because of the large number of people of Swedish, Norwegian, Danish, and Finnish ancestry who lived there. The Cove on Castro used to be called The Norse Cove at the time. The Scandinavian Seamen's Mission operated for a long time on 15th Street, off Market Street, just around the corner from the Swedish-American Hall, which remains in the district. In 1920s - during the prohibition -, the downstairs of the Swedish-American Hall served as a speak-easy, one of many in the area. "Unlicensed saloons" were known as ‘speak-easies’, according to an 1889 newspaper. They were "so called because of the practice of speaking quietly about such a place in public, or when inside it, so as not to alert the police or neighbors." In 1889, Inglenook wines won gold medals in the World's Fair of Paris, and was the most successful non-French winery. In 1919, Inglenook wines won 19 gold medals at the 1919 Panama-Pacific International Exhibition in San Francisco. ↑ Gaughan, Timothy (July 3, 2009). "When the valley met the vine: A perfect storm, and the big five". Napa Valley Register. Napa, CA: Lee Enterprises, Inc. Retrieved September 30, 2011. ↑ Hamlin, Suzanne (July 10, 1996). "A Director's Vision for Celebrating Food, Wine and Film". New York Times. Ruterford, CA. Retrieved October 16, 2010. ↑ Lutheran Church of the Cross - homepage. ↑ St. Francis Lutheran Church by San Francisco Conference of Lutheran Churches, ELCA. ↑ "I Remember Mama, 1979" Internet Broadway Database listing, accessed March 24, 2012. ↑ Cheney Sentinel. September 13, 1889. p. 1, col. 1. (A newspaper in Cheney, Washington). ↑ Harper, Douglas. "speakeasy". Online Etymology Dictionary. Retrieved 29 October 2012.